Leigh Electrical offer a comprehensive Domestic Electrical Testing & Inspection service to householders in Southend-on-Sea and the wider Essex area. Our Electricians are all fully NICEIC Registered, the highest standard of Domestic Electrician registration and certification in the UK. To arrange a Electrical Inspection and Testing survey with Leigh Electrical please contact us directly on 01702 873350 so a site visit and free no obligation quote can be provided. 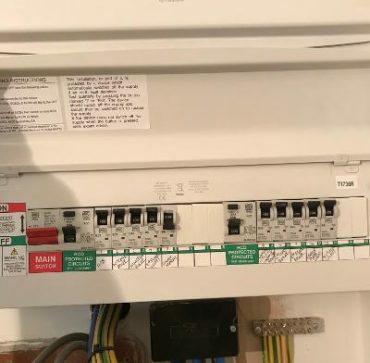 Whilst this is currently only a legal requirement for rented properties it has now become recommended for home owners to keep their Domestic Electrical systems up to date and avoid any potential future hazards and extensive Electrical work that comes with them. Leigh Electrical offer a wide variety of Domestic Electrician Services to the Public, Businesses and Landlords in Southend-on-Sea and the wider Essex area. Our highly trained, uniformed & professional Electricians operate 7 days a week, ensuring our customers do not have to miss time off of work in order to have works completed. Our Domestic Electrical Testing & Inspection Service has been highly praised by previous customers, as is evidenced by our feedback on many of the popular Trades Comparison Sites such as Check a Trade and Trust a Trader. Our NICEIC registration guarantees all of Domestic Electrician work for a full 5 years under the NICEIC Platinum Promise.